Candies and costumes have been replaced with wreaths and ornaments on store shelves as we shift into the holiday season. Popular opinion is that it’s still too early to hear Christmas music but with December being just over two weeks away, plans are being made, gifts are being purchased, and many are ramping up for the festivities that will come. Where: Starting at West Georgia and Broughton, traveling east along West Georgia, turning south on Howe and finishing at Howe and Davie. Visit the Coast Capital Savings Christmas Square at the Vancouver Art Gallery from 10:30am to 1:00pm for pre-parade festivities and entertainment. Bring donations for the Greater Vancouver Food Bank. Non-perishable food items will be collected along the parade route, near the front of the curb or at the Coast Capital Savings Christmas Square. Where: The parade will start at 5:00pm from the Cloverdale Fairgrounds parking lot and will start down 176A St. It will then make its way to historic 176 St in downtown Cloverdale via 58A Ave. The traditional parade with floats, marching bands, antique vehicles and horses will be joined by an amazing lighted Truck Parade. Everyone is encouraged to bring either a non-perishable food item or a children’s toy that will get picked up by one of the members of the Surrey Food Band and the Surrey Christmas Bureau. Don’t worry kids! 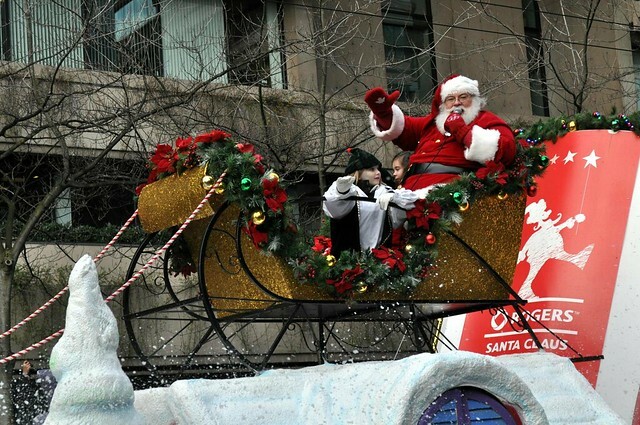 Santa will be able to make both events as the Vancouver parade is in the morning and Surrey’s is later in the evening. 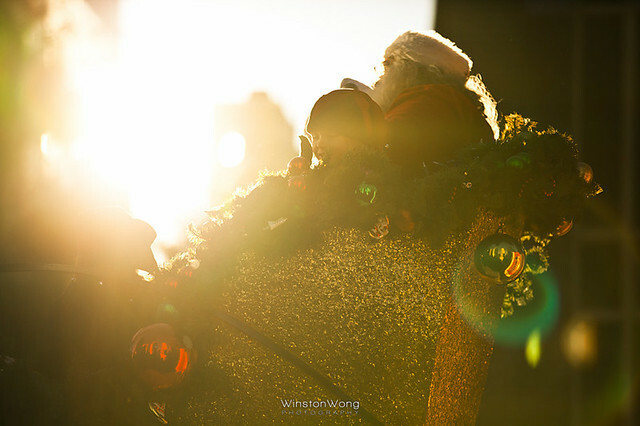 Thanks Rebecca for mentioning us in the blog post and all your support for the Vancouver Christmas Market. We’re definitely be looking forward to this year’s Rogers Santa Claus parade. We’ll be participating it in this year. Can’t wait for the holidays to roll in full swing, and looking forward to seeing your Christmas photos Rebecca.